Utilize packaging colors to optimize business results. 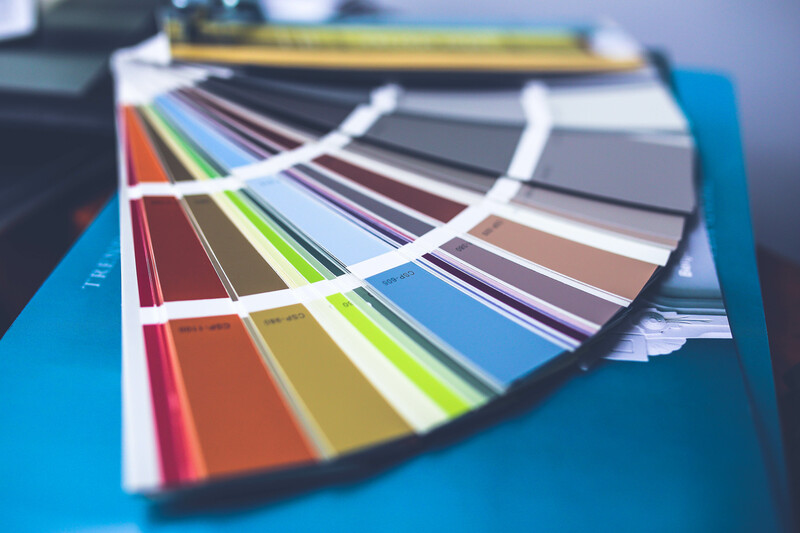 Companies are overlooking the importance of the color selection process. In today’s competitive market, every decision made must be for a purpose in order to stand out amongst competitors. Packaging colors are no exception since it’s the first thing consumers will register in their brains as they browse the shelves. Packaging colors essentially serve as the first impression of the brand. This will dictate the judgments consumers will make. Here, this could work for or against companies. Similarly to human interaction where people are more likely to be warm and open towards others who make good first impressions, shoppers will do the same with the products that attract them. Most articles will only cover the basics of color psychology with branding (such as white communicates purity). However, it’s critical for companies to consider the context of the industry before assuming that the color a company selects will register synonymously for consumers. For example, while brown can give off a warm and comforting feeling when packaging chocolate, it can give off a rugged feel when packaging mens’ aftershave. Be mindful that the color will give off a different psychological emotion depending on the context. The best marketing plans all revolve around truly understanding the target market and what they want. Begin by creating a profile of the target consumers. There are multiple ways to go about this, but a simple way is to picture them demographically (such as gender, income, culture, age, etc.) What attracts a young teenage girl with a babysitting income will likely vary greatly compared to a gentleman in his 50s with a 6-figure salary. Not only is this important for attracting customers, but this is also important to avoid repelling them. 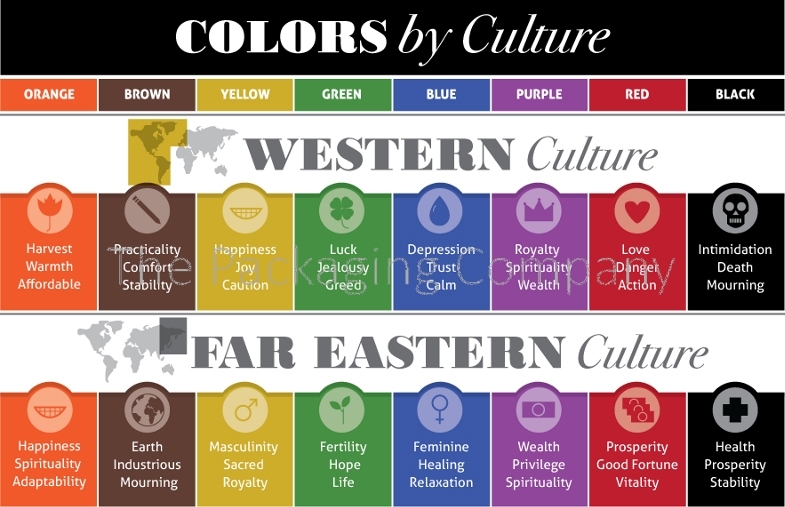 Color meanings can vary upon cultures. Refer to this example by Brandon Gaille. While the colors brown and purple share similar meanings, the rest are almost opposite from one another. The important thing to remember is that a company’s color choice should reflect how they want the consumers to feel about themselves when they buy the product. The color appropriateness in relation to the product is more important than the color itself. So if a customer is buying a product in order to feel healthy, naturesque colors such as green or white will likely work in one’s favor over red or black. As mentioned in the previous blog, brand personality is critical to perfect in order to stand out in the market. A company’s color choice should relate to its logo and reflect their desired image to customers. Companies should determine the purpose of their product and what kind of message they want to send. Examples of this include professional, luxurious, affordable, etc. This is more important than trying to align with the stereotypical colors in the industry. Here is an infographic to further assist in the color selection process.